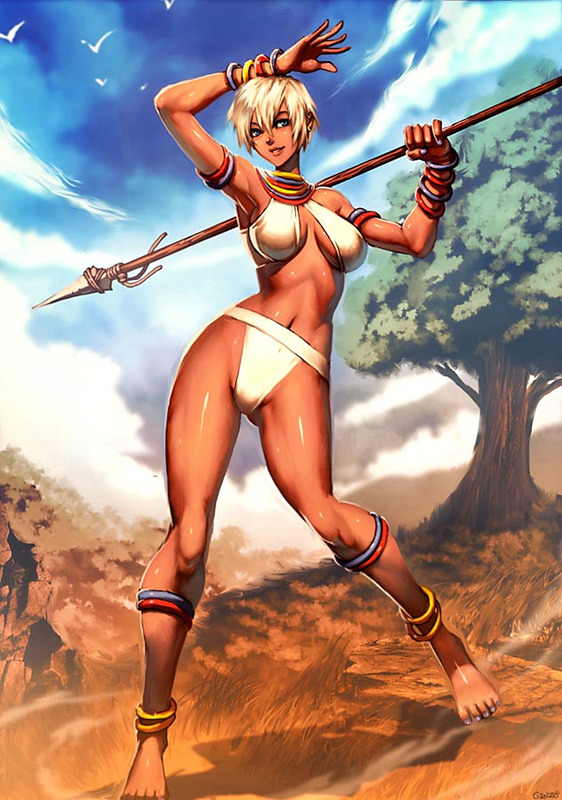 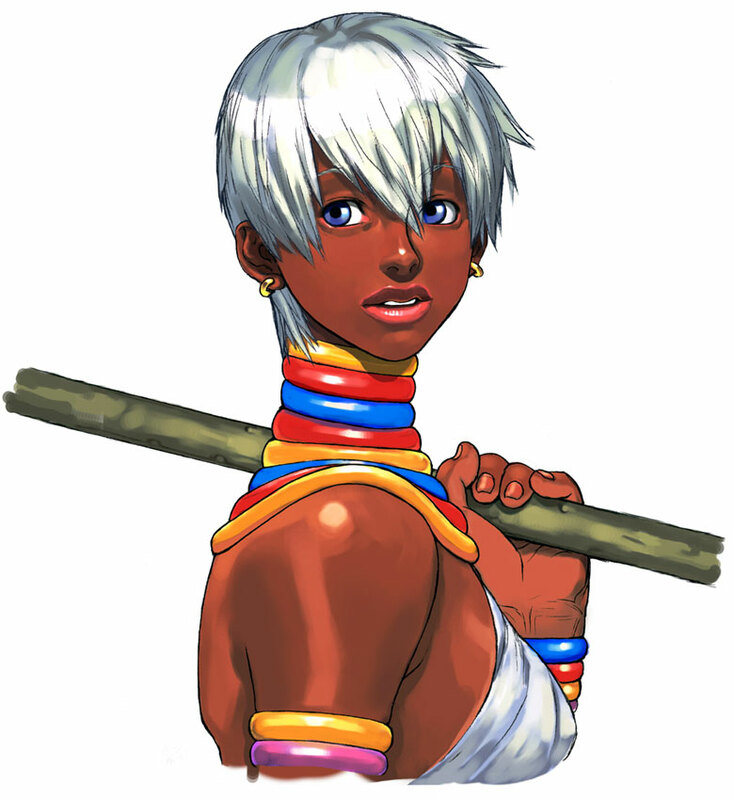 Elena is the princess of an East African tribe which has a cultural tradition of fighting. 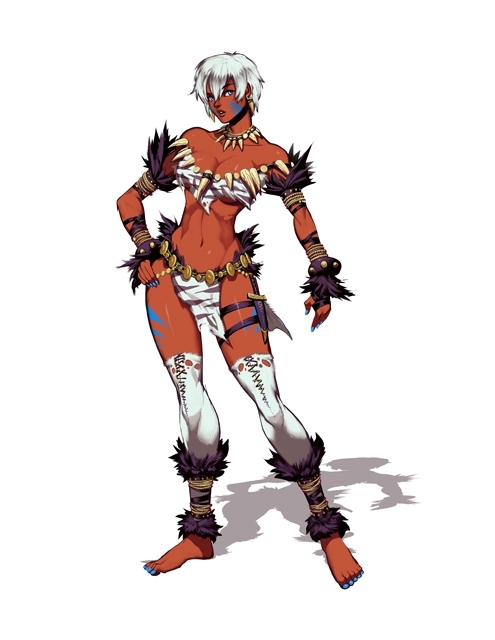 He father is chief of the region and a witch doctor, but also has a PhD in medicine from France. 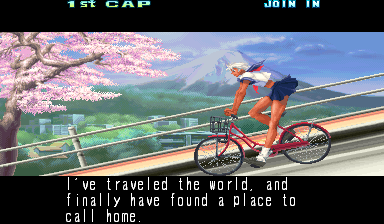 During the third World Warrior tournament, Elena wanted to travel around the world and meet new friends. 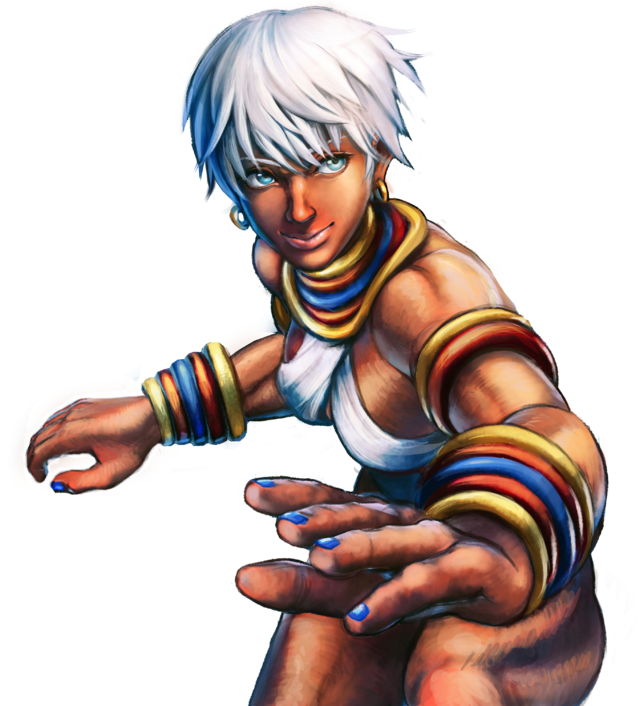 She has a light hearted personality and doesn't take fighting as seriously as other fighters. 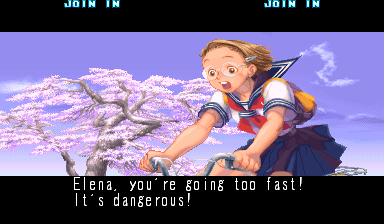 She studied as an exchange student in Japan, where she met her best friend Narumi. 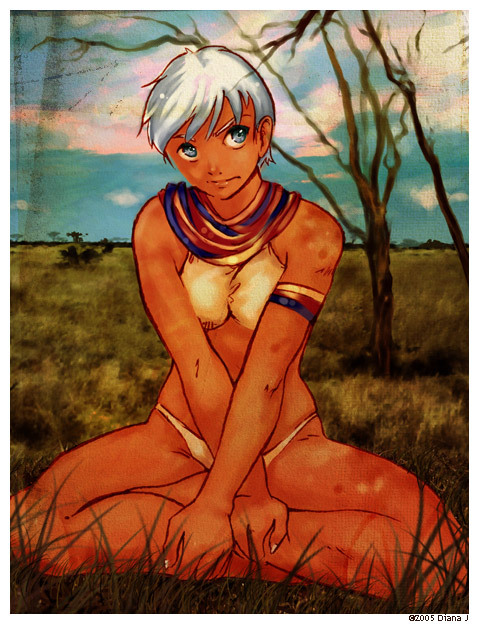 She later continued her studies in France. 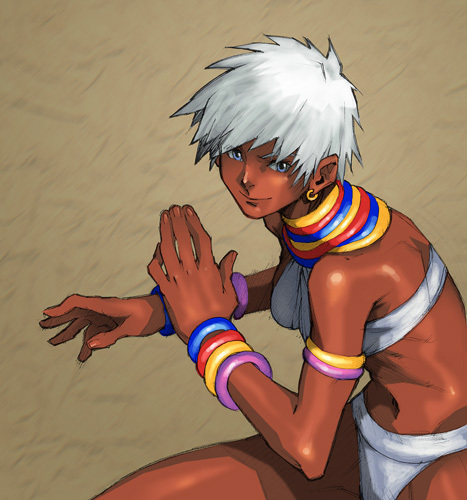 She didn't do much during the time of the third World Warrior tournament besides make a lot of friends. 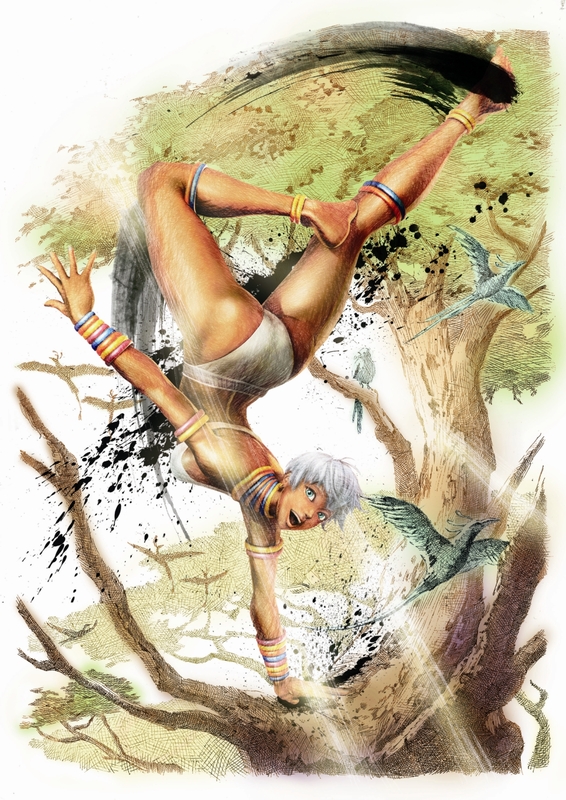 Capoeira in 2D form never looked so amazing. 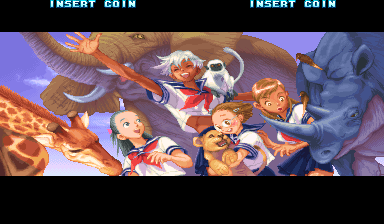 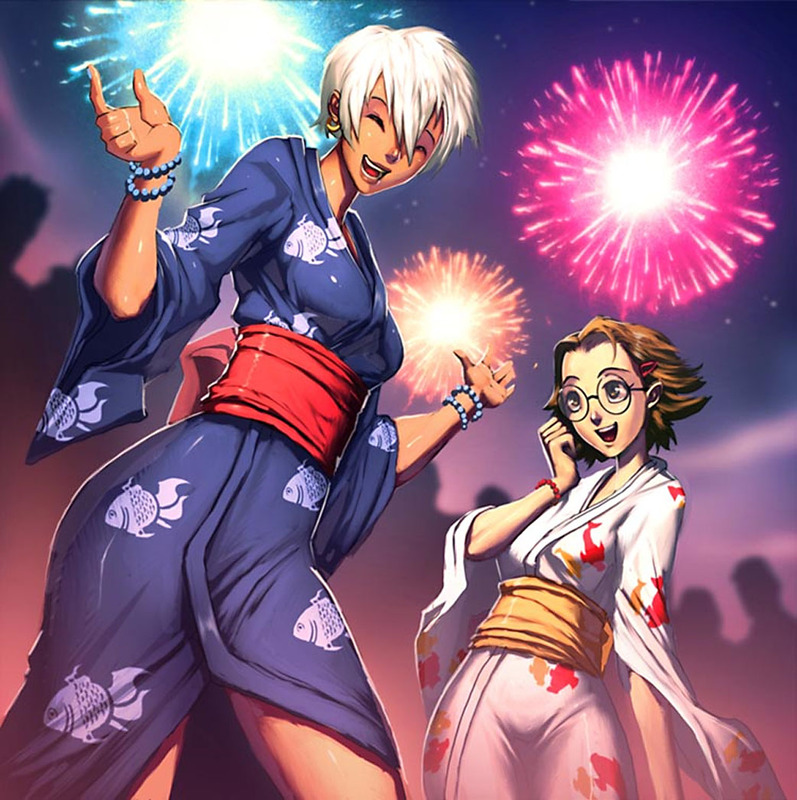 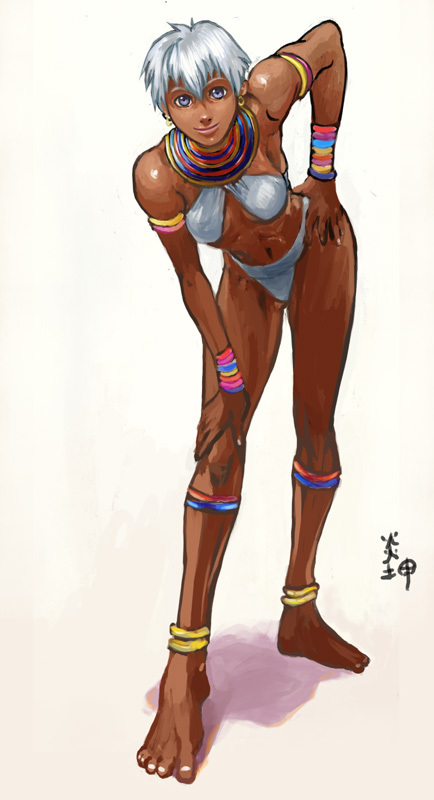 Thanks to Capcom's amazing 2D artists, Elena made a superb addition to the "new generation" of Street Fighters in SFIII. 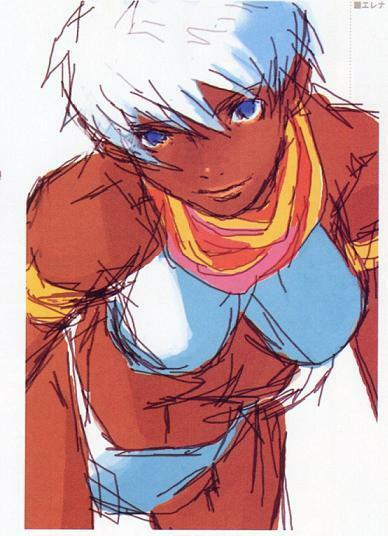 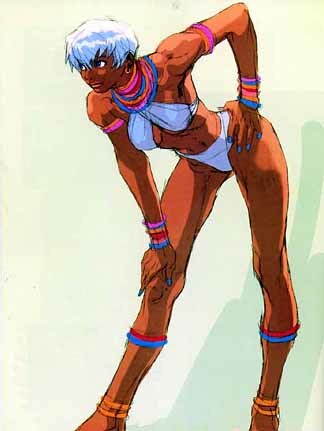 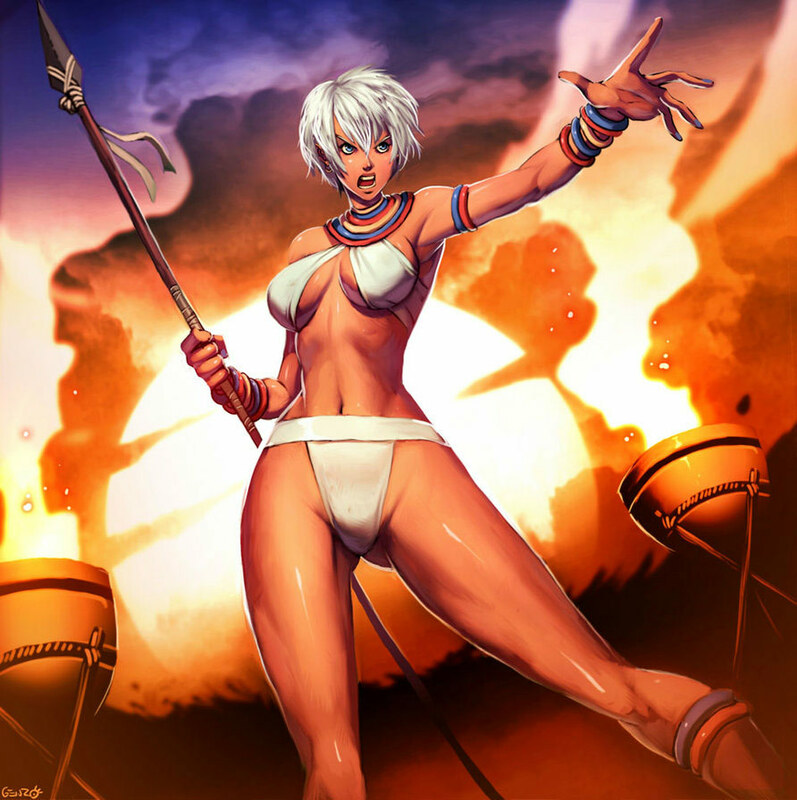 While not the most elaborate character design to come out of the Street Fighter universe, Elena's fluid fighting style was very innovative in the 2D fighting game realm when she debuted. 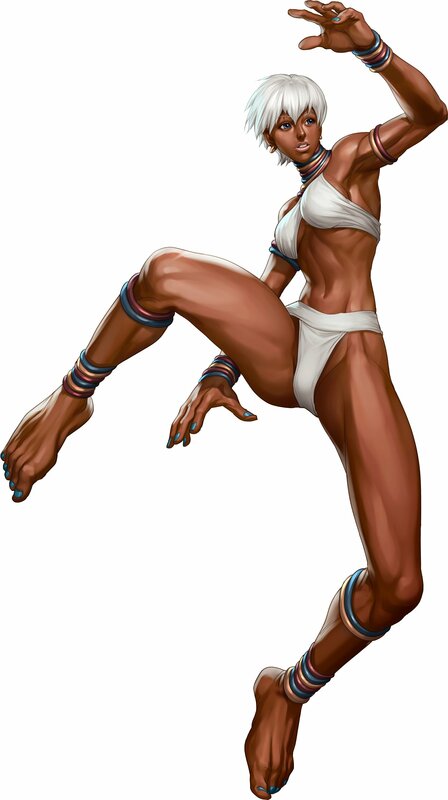 Elena is defined by her cheerful, funny personality and lean, toned physique. 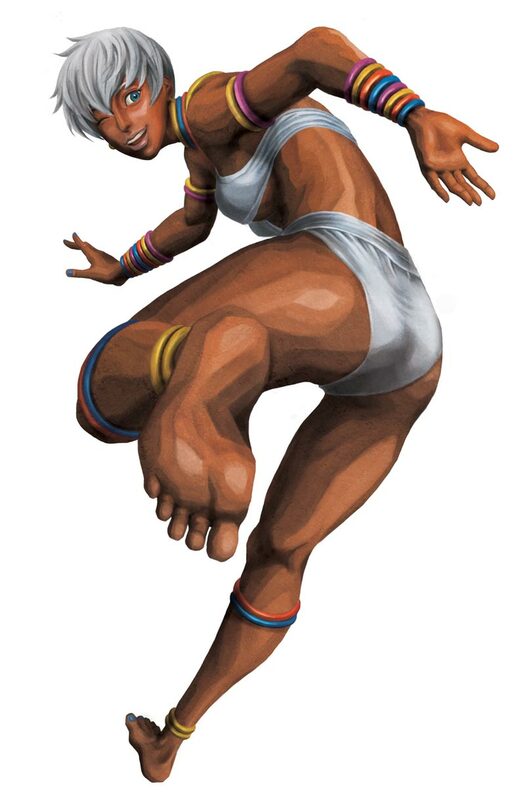 Her legs go on forever... and she knows how to use them. 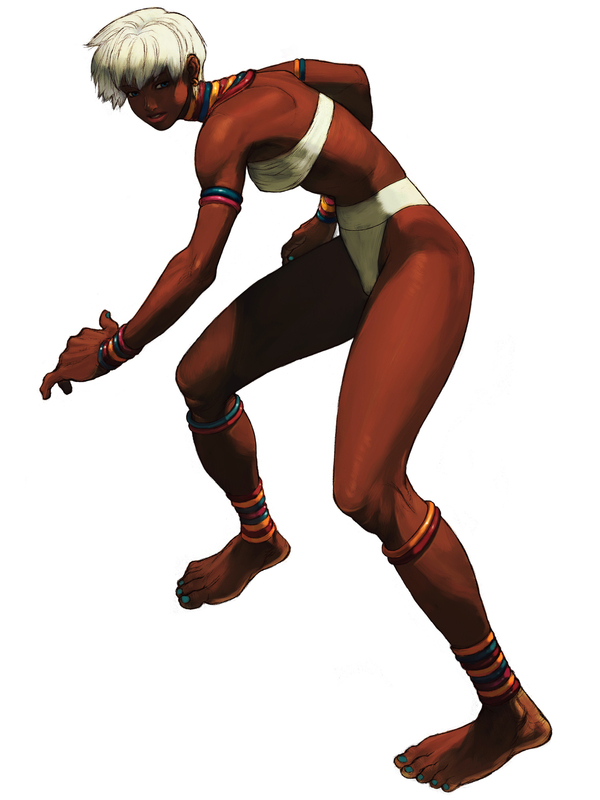 :) I've always loved Street Fighter characters that represent an authentic martial art, and Elena does just that, with style. 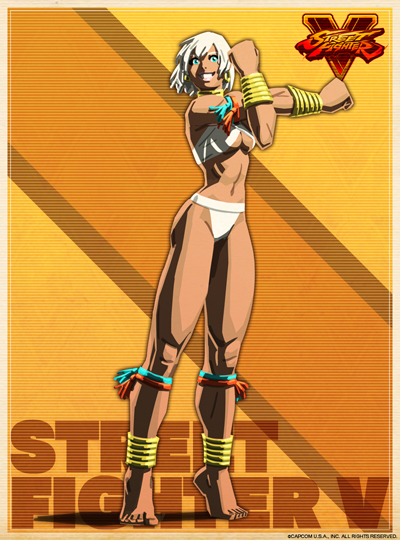 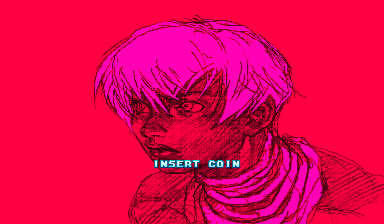 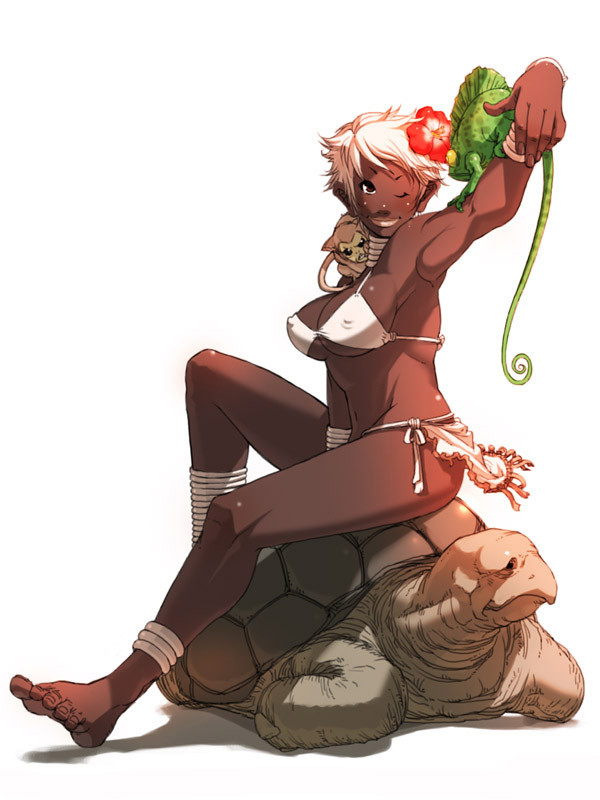 I can't say I'm a fan of her SFXT iteration as much... 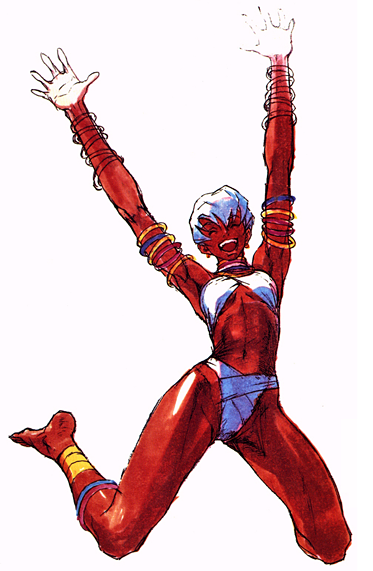 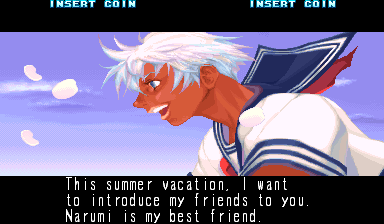 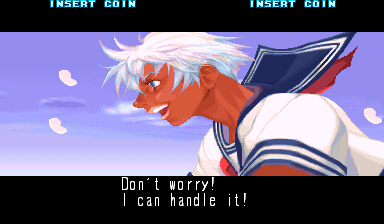 Her translation over to the 3D "SF4 engine" doesn't hold a candle to her original SF3 sprite, in my opinion.